We have fielded many inquiries from concerned OT Assistants in regards to obtaining their licensure number by the Jan. 1, 2017 date. We have been in contact with Sandra Matsushima – Executive Director for Occupational Therapy with DCCA. OTA applicants who have turned in their applications thus far and have been approved will receive their license numbers by the end of this week (12/16/16). OTA’s will be able to check their license numbers online at the public website next week (12/23/16). 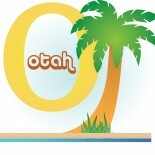 To access: cca.hawaii.gov – scroll to under Programs column to Occupational Therapy. On the next page under: RICO Consumer Resource Center, click on “verify if a person is licensed”. Next screen will state: Business/Individual. Enter your name. If your paperwork has been processed, your name will appear. Click on your name and a copy of your license number and information will appear. You can make a copy of that screen to show your employer. The newly licensed OTA’s will receive their pocket cards within 15-20 business days after issuance of their license numbers. The same 15-20 business day period is the same for OTR renewals. The “OTA” fee is an Occupational Therapy Assessment fee for all Occupational Therapy practitioners. This fee was mandated by the legislature.